The "Riots Not Diets" Belt is made of 100 % polyester (black) and therefore vegan. 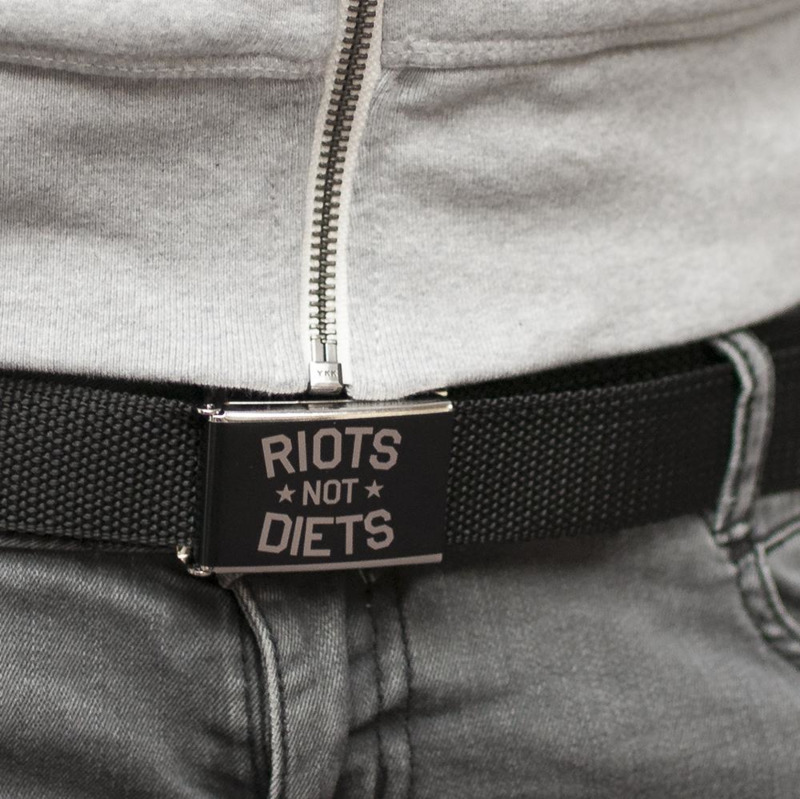 On the metal buckle is the 'Riots Not Diets' Design, on the other end of the belt it has a metal tip. 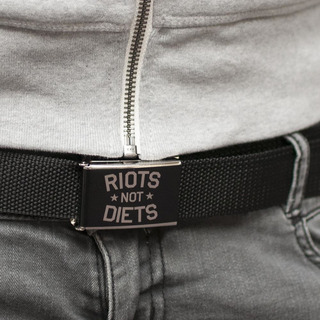 The belt is easily adjustable, so you don't need a new belt when your weight changes ;) Just release the buckle, and move it and fix it again. The belt is about about 3 cm wide, you can choose between different lengths: 110 cm, 80 cm and 65 cm (for children). The buckle contains 5 % nickel max. 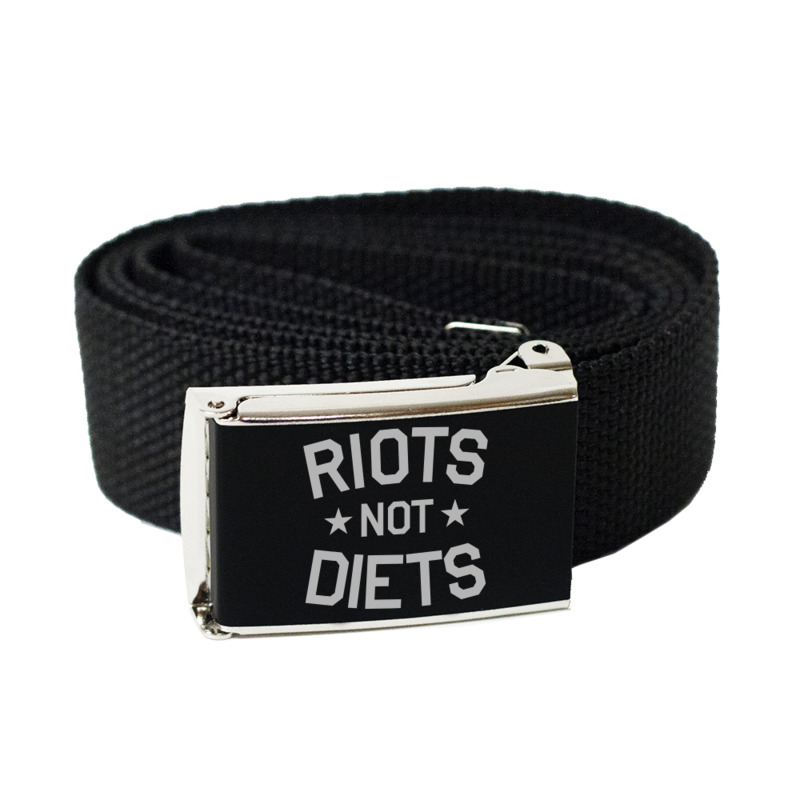 All belts are available in special sizes! If you want one, please leave us a comment when you order.